World War 2 was ongoing and America was now heavily involved. Food was in shortage so America developed an ‘Emergency Farm Labour Program’. They chose to use Jamaican’s and others in this program. Maurice Hodgson was in New York but his son was living at Southfield with his grandparent’s Mass Teddy and Mabel. His son was Maurice Vincent Hodgson, affectionately known as Vin. On the 29th April 1943, Vin became officially admitted as an agricultural worker at Kingston. He had just signed up to go and work in New Orleans, America for five months. Although his father lived in the U.S, he himself had never set foot on American soil. The health authorities were to give each worker a clean bill of health before they could be allowed to enter the United States. They were not to be engaged in military service for the U.S.
A week after signing up, Vin boarded The American ship, SS David C Shanks, which then departed from Kingston Harbour, Jamaica. Destination, New Orleans, United States of America. Even though the carrying capacity of the ship was set at 1,900 people, it was packed out full with about 4000 black Jamaican men. The ship journey was horrendous. The food and water system “gave out” and the sewage system failed. Trouble flared between the white military police and the Jamaican’s onboard. One Jamaican was “forced overboard and not accounted for” while the military police abused the transportees by kicking and beating them. It was all very similar to what life had been like on a slave ship. The men eventually arrived at their headquarters, Pontchartrain in New Orleans. To the Jamaican’s – with a history of enslavement – the control system in place at the headquarters camp in New Orleans and other camps in America, appeared as a throwback to the past. Military Police guarded the camp. 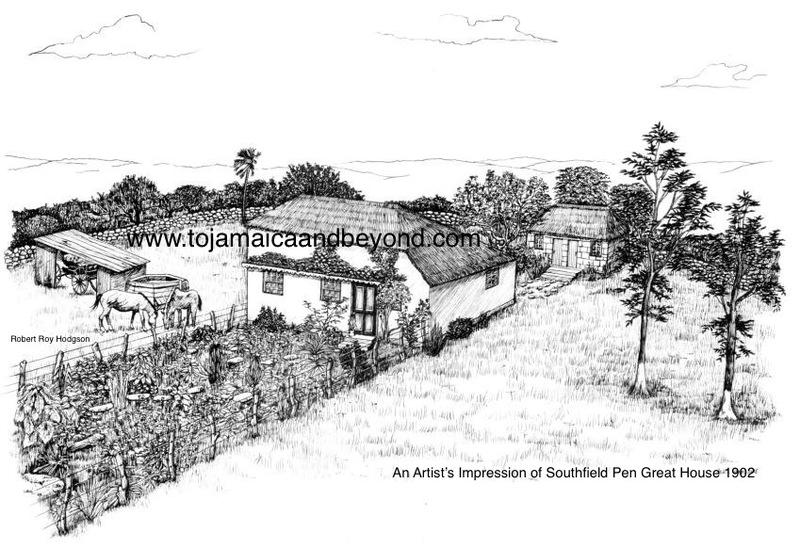 The Jamaican men could not go out without written permission of a civilian camp manager. Accommodation was in tents. Lights had to be out at 11pm. Complaints about camp conditions were therefore inevitable. Wherever they worked in America, the British West Indians could not escape the anti-black racism in the US. Jamaican workers were very sensitive about the US race-colour environment. A report noted that Jamaican’s, although worried about the race problem were “hurt to be refused service in restaurants and drinking establishments” It was all a new experience for them because they had never faced these sort of problems before in their own country, Jamaica. On the 30th September the same year, his work permit expired in America. He went back to Jamaica. His American adventure was not over….